Scientists at the University of Maryland School of Medicine have for the first time found evidence that the presence of a key species in the human gut microbiome is associated with protection from infection with typhoid fever. If the research is borne out, it could offer an exciting new way to reduce intestinal infections from microbes. The new study establishes for the first time that certain gut microbes may keep infection at bay. The work was published today in the journal mBio. The study's lead author, Claire M. Fraser, a professor of medicine at UMSOM as well as director of the school's Institute for Genome Sciences, said the researchers sought to examine how differences in the gut microbiome might affect infection with typhoid bacteria. "From our previous work we suspected that the microbiome might have an effect on how these illnesses developed in the gut," says Prof. Fraser. "We wanted to better understand the molecular basis these interactions in the intestinal environment." Other researchers on the paper include Marcelo B. Sztein, , a professor of pediatrics at UMSOM and associate director for basic and translational research at the school's Center for Vaccine Development and Global Health. The study was carried out using samples obtained from subjects who had been vaccinated against typhoid, and were subsequently exposed to virulent typhoid bacteria. The vaccine is helpful, but sometimes is not that effective, especially in the developing world. Prof. Fraser and her colleagues found that those who had higher levels of the microbes, which are known as methanogens, were significantly less likely to become sick following exposure, even if they had not been vaccinated. "We found a strong correlation between the composition and function of the gut microbiome and the clinical outcome following exposure to S. Typhi," said Prof. Fraser. "One interpretation of these findings is that in some individuals the gut microbiome may offer some protection against infection." She says that it may also be that people with different microbiomes may respond differently to the vaccine. Typhoid fever is caused by the bacterium Salmonella Typhi. An estimated 5,700 cases occur each year in the United States. Most infections occur in international travelers. Typhoid fever is common in the developing world, where it affects about 21.5 million people annually, and kills 200,000. It is not clear exactly how methanogens might help ward off typhoid. Methanogens themselves may keep typhoid at bay, or the presence of these species may create an environment that is hostile to typhoid. Methanogens thrive in an environment that has very little oxygen; generally, the gut has very little oxygen, but this can vary. Intriguingly, researchers have found that typhoid can gain a foothold in the gut by producing reactive oxygen molecules. The researchers theorize that methanogens may help reduce the risk of typhoid by reducing the amount of oxygen in the gut. This could potentially reduce the ability of typhoid to thrive. "There are so many questions that this initial set of findings raises. This is step one in a 100-step journey," she says. Another question is whether methanogens, which have been received little research, may also protect from other intestinal infections. "Methanogens may be one of the key gut bacteria, and we know very little about them, particularly whether they affect host immunity. 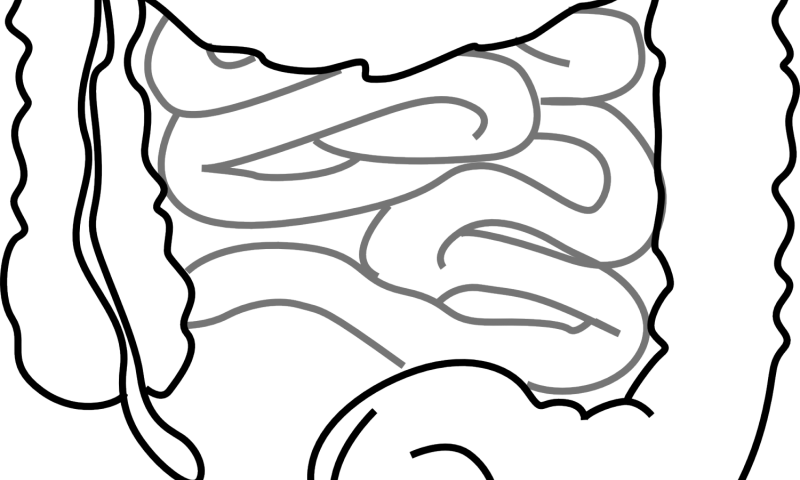 The data presented in these studies raised the intriguing possibility that methanogens possess important immunomodulatory functions that could impact clinical outcomes following infection with enteric pathogens" says Dr. Sztein. The research has broad implications: In the future, Prof. Fraser says, it may be possible to reduce the risk of infection by creating a certain environment that is populated with particular gut microbes.